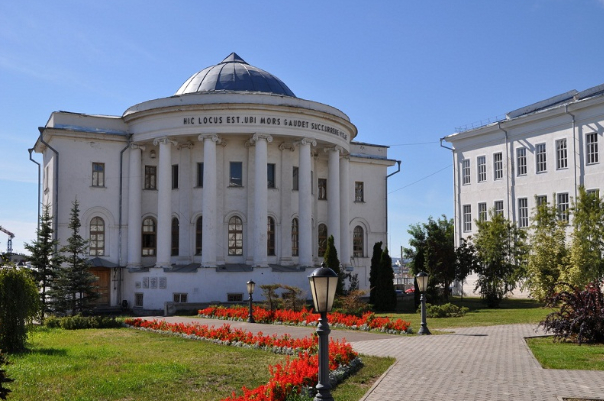 Chuvash State Medical University was established in the 19th Century on 17th August 1967. It was founded on the base of the Lenin’s power engineering institute and was named as a Chuvash state university by the Soviet of Ministers of the RSFSR on 30th November, 1967. In initial stage, the University has more than 300 students and highly qualified professors and senior lecturer and now there are more than 10,000 students and 3,865 faculties, including 77 Doctors of Science and 445 Candidates of Science. In Chuvash State Medical University, there is no need to give any entrance exam and the process for applying is very easy. Moreover, there is no donation and the degree of this University is recognized by WHO, MCI, and UNESCO. The course duration is of total 6 years and fees are INR 1, 85,000 per year. Further, students are also provided with clinical practices and medical trainings. On top of this, the hostel facilities with canteen is provided for the students and there is separate hostel for girls and boys. Facilities like WIFI, gas, hot water, fully furnished rooms are provided to students. Kazan State Medical University is located in central part of Kazan city in Russia. KSMU was established in the year 1814 and it was the second university to be founded in Kazan. KSMU is a renowned University in Russia, and many Indian students have been graduated from this University in past. Moreover, Kazan State University is a multifunctional and multileveled institution for learning higher level in medicine. The Kazan State Medical University functions on the basis of self-governance and belongs to the system of higher education and scientific research of the ministry of Health of Russia. Kazan State Medical University has trained more than 24000 students and are completely satisfied by the study pattern of this University. The degree from KSMU is recognized by WHO, UNESCO, and MCI. Clinical training is performed at 54 units of the Ministry of Health of the Republic Tatarstan. The duration of MBBS is 6 years and per year fees is INR 4,00,000 including hostel fees. Kursk State Medical University was established in the year 1935. Kursk State Medical University is a very well known University not only in Russia, but also, in all over the World. This University is recognized by UNESCO and WHO. This University is the first one to provide medical training in English Medium. The mission of this University is to provide complete knowledge about human health, health care practice improvements, and a medical science department. Here are total 5,500 students out of which 1,200 are international students. Moreover, there are in all 6 hostels out of which 3 hostels are for international students with modern equipments. The degree of this University is recognized by Medical Council of India, Australia, UK, etc. These hostels are well equipped with facilities like WIFI, 24 hours water, hot water, central heater, and fully furnished rooms. Volgograd State Medical University is situated in Volgograd. It was founded in the year 1930 as Stalingrad Medical Institute. Later, in 1993, it got the status of Academy and in 2003, it was granted the status of University and from that onwards it is recognized as Volgograd State Medical University. 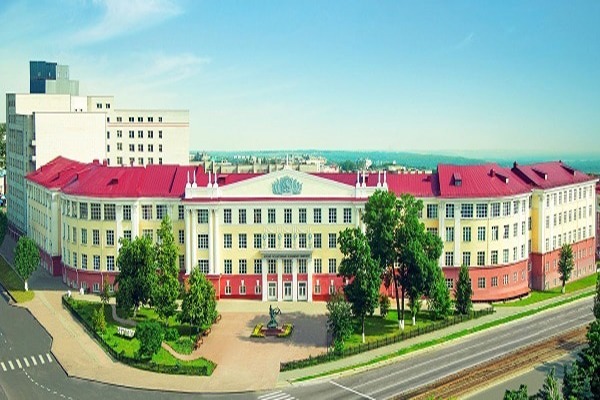 The Volgograd State Medical University is listed in the The World Directory of Medical Schools WHO list of world medical schools and also in the International Medical education directory provided by FAIMER thus is recognized by MCI India. Nowadays the teaching staff of the University numbers 763 highly qualified professors and instructors with 11 academicians, 96 professors and 401 associate professors among them. Most of them have Ph.D.’s or more advanced degrees. There are total 7 students hostel and separate accommodation is provided for boys and girls with all facilities. Ulyanovsk State Medical University was founded in 19th century, in the year 1988. 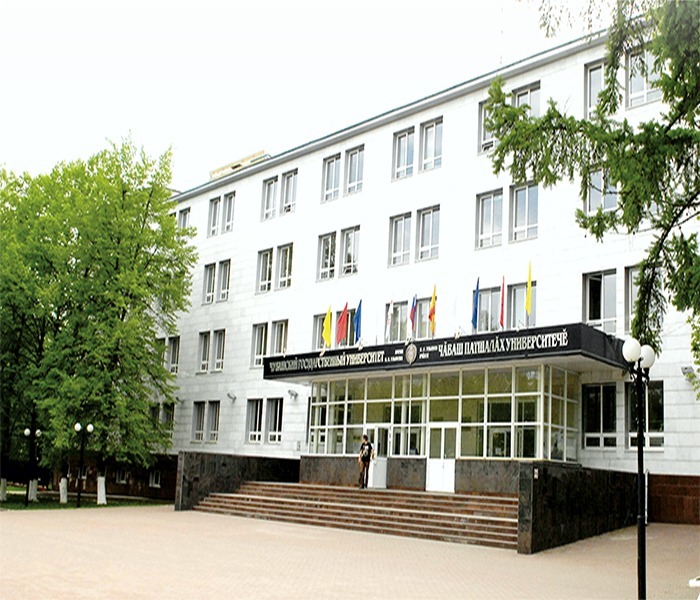 Ulyanovsk University is located in city of Ulyanovsk Oblast. This University is non-profit University and it is one of the best Universities in Russia. Many Indian students have been graduated from this University and all have become extraordinary doctors in the world. In this University all festivals of Indian like Navratri, Holi, Diwali, New Year is celebrated with great enthusiasm. The degree of this university is recognized by WHO, UNESCO, MCI, USMLE, GMC, and listed in FAIMER list. One of the great news about this University is there is an Indian mess for Indian students with 3 Indian Chefs. Moreover, the lectures are delivered in English throughout the study. Furthermore, the fees of college and living is also inexpensive, and on the top of that, this University mainly focus on practical aspects. Mari state medical university was firstly established at the 19th century on 1972, situated at the Yoshkar-Ola. At the Mari State University there is recent methodical and technological, coaching and laboratory bases are available and the up-to-the-minute investigational plants that allow creation of the complete researches, the modern computer equipment. In this University, the students have ample of options to choose their courier. There are scientific communities, Interest clubs, sports schools, volunteering charity work, public work, cultural events and much more. This University has the wide scope of well trained and well qualified specialists. There are 55 areas and 3 specialties in which the education is carried out. Over 8,000 and more students study at this University. The total area of this University is 128,000 square meters. This university is having the hostel facilities of around 2,500 students are staying and pursuing their graduation. The University campus has 8 separate places for residential or hostel purposes of the students, and 7 buildings for the educational purpose. There is a staff of more than 100 doctors of sciences and professors and 400 candidates of sciences and correlate lecturers. This Perm state medical university was established at the 14th October, 1916 at the Perm Krai in Russia. Dr. Vladimir Malanin is the president of this Perm state medical university. There are 1800 academic staffs are available in this university. These Medical University is a most importantly documented scientific center of elevated medical education and research exertion. University has 72 departments which have 607 highly qualified professors, including 147 doctors and 365 candidates of medical sciences. There are around more than 18000 students are pursuing the MBBS degree in this university. As compared to the universities of Russia, this one is having the wide scope of students in their medical academy. In accommodation guidance is provided to the students of this university which helps them to construe the challenges that would come their way in potential. The whole University campus are having the modern security system operates, and there are points with free wireless Internet access. This having one of the largest and well developed forms of the library in its campus and contains the all types of books in it for the students of this university. The Smolensk state medical university is earlier established in the year 1920, located at the Smolensk city, Russia. This university is considered to one of the pinnacle medical university in Russia. The campus is situated at the well formed urban side. All facilities are situated in one campus that is educational buildings, hostels, mess, play ground or sport complexes, library, cultural complexes and park at the Smolensk state medical university. There are 4 separate hostel facilities are available, which can finely accommodate more than 2000 students. The hostels are fully furnished and all are with attached with the bathroom, toilet and kitchen. The basic system is the rule of university is that two students in one room are allowed to stay in per room at the hostel and the separate arrangements for boys and girls are available. The Smolensk State Medical Academy has 65 Departments located in the campus and on the basis of the leading health care units of the town. 450 professors are work at the academy including 92 Doctors of Medicine and 281 Candidates of Sciences (PhD). This university trains the MBBS and pharmaceutical specialists for various regions of Russia as well as for a number of overseas countries. “Hello students and parents, are you looking for the abroad studies in Medical”, then you’re at the right place. Yash Overseas is a Consultant providing the consulting services and helping the candidate to fulfill their dream career to study in abroad. We are offering an education consultancy services with a difference which provide the full guidance to the students for seeking the admission to different universities globally with its office situated in Ahmedabad, Gujarat. Yash Overseas was established in the year 2008. The primary objectives lies in assisting, counseling and advisory service for pursuing abroad studies in Medical and IELTS education in overseas educational institutions. We have already sent more than 100+ students to UK, Australia, Philippines, Europe, US, China, Ukraine, MBBS in Russia, Georgia, in last 10 years for various courses. Yash Overseas Educational Consultants are authorized by various Universities to propagate and promote education faculties to students of different countries like Malaysia, Indonesia, U.K., Middle East Countries, and South African Countries etc. We are betrothed in providing diverse services for students like Education Loan, Passport, Air Ticket, Immigration and Student Visa. We are also providing the education in various countries such as China, Philippines, New Zealand, Canada, UK, Cyprus, Singapore, Caribbean and USA. Yash Overseas is India’s foremost Overseas Education Consultancy that has helped thousands of students to reach their dreams. Studying MBBS abroad is a way vey less expensive compared to studying MBBS in India with the fees being as low as 9 to 10 lakhs for complete MBBS course. The college fees can be paid on yearly portions and the students are not required to pay the fees at once. Apart from the low fee structure, there will be no donation required to pay for studying MBBS abroad, which is not possible in the case of Indian private colleges. 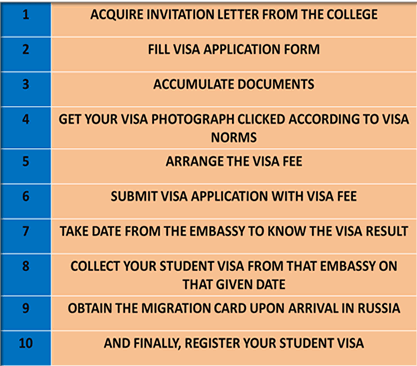 Moreover the students going for MBBS Abroad does not require to pay any donation in any of the Russian University. Students studying MBBS abroad, especially in Philippines as the best career gateway in diverse developed countries like USA, UK, and Canada etc. After completion of their MBBS course they can practice in Russia without giving any licensing exam. After the completion of MBBS abroad the entryways of chance are opened comprehensively. You can practice anyplace on the planet subsequent to finishing your MBBS degree and consenting to your preferred qualification criteria of the nation where you wish to practice. For getting admission for doing MBBS in Philippines, Russia, Bangladesh, Ukraine, and China, there is no entrance exam or test is required. The candidates only need to meet the eligibility criteria for getting admission for doing MBBS in Abroad. 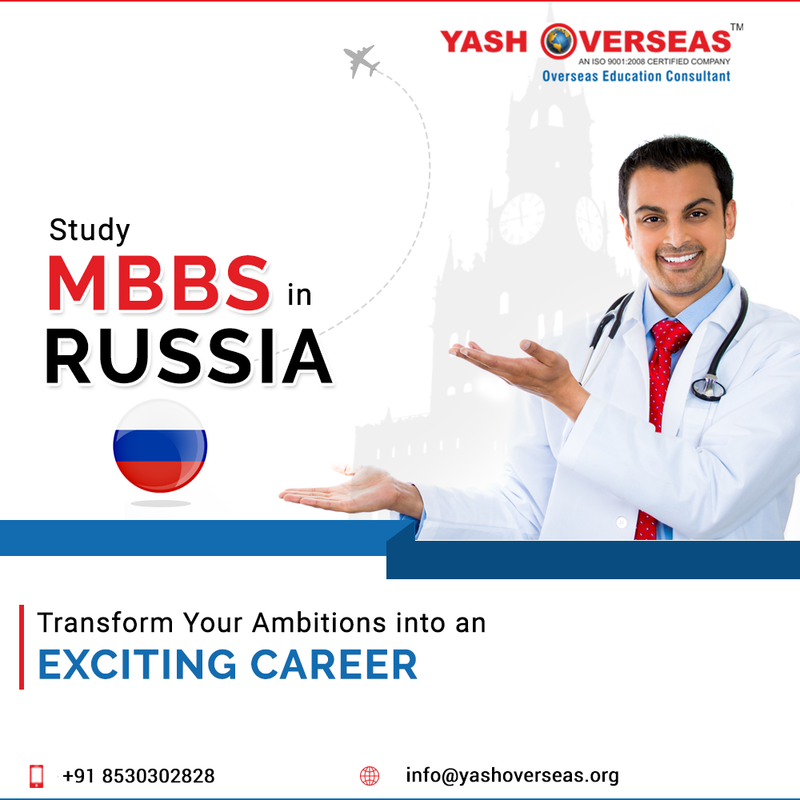 In Russia all the medical universities are MCI and WHO approved and also approved by their respective national regulator of education, the students will be qualified to practice in India or some other country subject to satisfaction of the qualification criteria. The Students doing MBBS abroad, the medium of communication is English in Russia, Philippines, Bangladesh, Ukraine and China. Further the students are not required to learn the local language for classroom learning. With such huge numbers of students studying MBBS abroad, Indian nourishment is presently effortlessly available for the students. There are numerous eateries giving Indian nourishment, both veggie lover and non-vegetarian. The other benefit with the affordable fees structure is for cost of living in abroad is also low and affordable. This supports to lower the cost significantly for the students. It is very safe and secure for the students doing MBBS abroad by political, economic, and for their personal safety in Philippines, Russia, Bangladesh, Ukraine and China. Further it is well known that there is no discrimination in these countries and students live safely in their hostel or other accommodations. 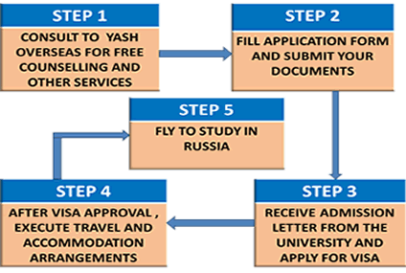 The consulting service provided by Yash Overseas is 100% valid. We retain the trust of our clients and have emerged as the foremost institution for providing the consulting service for abroad MBBS. We are giving the 100% satisfaction guarantee of our services. Therefore there is no hidden information or cost when you deal with Yash Overseas, Your satisfaction is of paramount importance to us. The candidate should complete his/her intermediate education (12th), or and education equivalent to Secondary education. Why Yash Overseas Consultant for MBBS Abroad? Yash Overseas is well-known consultants whichis transparent and gives complete information guaranteed. We are providing the free counseling for the right University and Country to meet your budget. Guaranteed admission if you meet the eligibility criteria and submit all the required documents on time. We are providing the advice on Passport application process. Support for Visa processing and loan assistance. Give proper guidance for appearing screening test and getting MCI registration. Help to get the foreign exchanges from the authorized dealers of Government of India. Support the candidates in their Travel arrangement and sending them in a particular batch. Proper guidance is given for filling for MCI certificate of eligibility in India. Best accommodation arrangement in University Hostel. Very low admission processing fees and we are the best guidance giver for MBBS in abroad.